Disclaimer: I was provided with product to express my honest and open opinions. My views are my own and your views may differ. thank you! 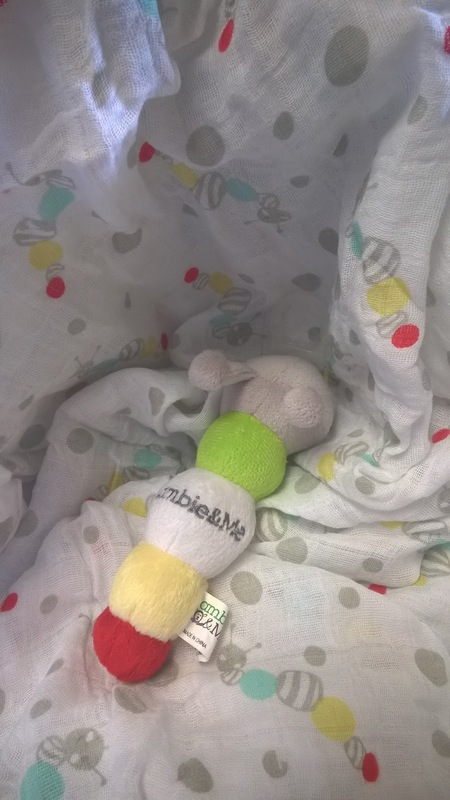 Here is a cute gift for baby this season, which comes from Lambie & Me in the form of a blanket and pacifier holder, which looks like an adorable little caterpillar. The blanket is muslin, large and soft and makes for great swaddling and it is actually, I think, big enough to keep and use as a blanket as baby gets bigger and even into toddling - this is a soft and cozy blanket that I wouldn't want to let go if I was a little snug baby with one! Babies really do not need much at all at Christmas, but it is always so nice to include something for them and this is perfect - nothing too big, nothing over the top, just a cute and practical gift that baby will actually use and enjoy, which will be appreciated by mom and dad, too! This cute little set is gender-neutral, which I love, too! I don't particularly think it matters too much about giving boys or girls specific colors, but when mom and dad don't yet know the gender, it is sometimes easier to buy something to suit either gender and so even a pre-baby gift can be made with this one! At 47x47 inches in size, my son thinks this blanket is soft and cuddly, he likes to snuggle up to it on the couch. 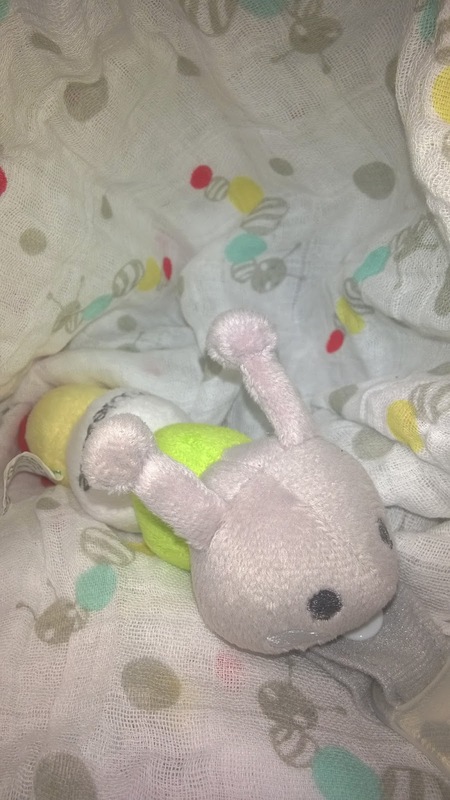 He is too old for a pacifier, but he still likes to cling on to the caterpillar as a little soft toy in its own right! Definitely a gift that can grow with the child for a good long while! Lambie & Me love sharing with you and they would love for you, our loyal readers, to pick up a blanket and pacifier holder set at a 25% DISCOUNT, using coupon code: UD5IZLVP at Amazon, HERE (While available!). You can also keep up to date with Lambie & Me via Pinterest, Twitter AND Facebook for latest and greatest gifts for baby! Follow our Holiday Gift Guide on social media with #MGBHGG and add one to your list, today! Such a cute blanket! It makes me, as an adult, want a Lambie!